Headed to King's Landing? Crafted of PU, this Game of Thrones Targaryen Mini-Backpack measures about 11 3/4-inches wide x 11-inches tall x 4-inches deep. 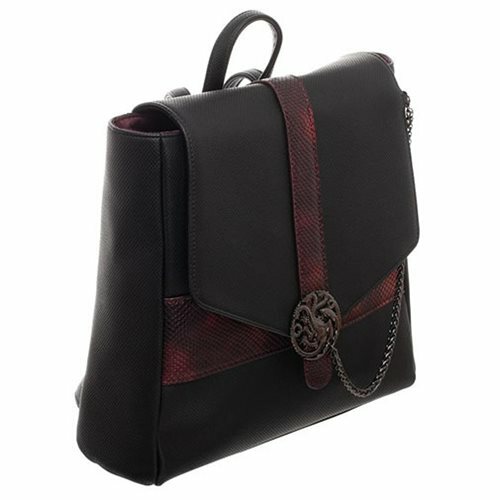 It features snap closure, interior slip pockets, a zipper pocket, a top handle, and adjustable straps, plus metal badge and chain detail spotlighting the House Targaryen three-headed fire-breathing dragon!